We have been in business since 1999, so we know what musicians and music lovers want. As a Member, you'll enjoy the most well-known, best-loved repertoire for all instruments free of charge, plus exclusive discounts on copyrighted titles by Hal Leonard, Alfred or Schott publishers. You'll never run out of music to play! Thousands of music teachers and students have joined us in the past 20 years, and they continue to renew their memberships on a daily basis. Why? Because we offer top-quality music for all instruments and ensembles at any skill level with media and interactive features. 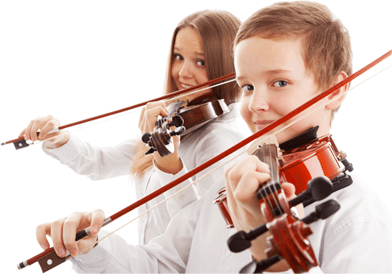 It's so easy to put together the right repertoire for your students, or for anyone who's learning an instrument. If you are a pro, you know what quality is. Simply put, we offer the finest digital sheet music quality you can find on the web, comparable to the top-quality printed music such as Editions Peters or G. Henle Verlag. Most of the high skill repertoire is available on VSM, instantly downloadable, in PDF file format for maximum portability and compatibility with any app and device. Pure digital PDF sheet music files. Mp3, MIDI and Mp3 accompaniments. Free access to over 2,000 classical & traditional titles. Up to 70% off on over 100,000 popular titles. Play along with unique Mp3 accompaniments. Transpose music to print it for any instrument. have joined already and now enjoy the benefits of Membership. "BRAVO! BRAVO! BRAVO! I just wanted to take a moment to thank you and commend you on not only a great idea (downloadable music) but a fantastic site." "Wonderful! Wonderful! Wonderful! This is the best site I have seen of its kind. Well worth the minuscule amount for the Sheet Music Downloads Membership.The front covers are wonderful and make the music score come alive." "The quality of the scores and the obvious knowledge of the people who created and edited the scores is very welcome. The scores are also very attractive and the publication is comparable to the best quality sheet music and scores." give a membership as a gift! Our Membership may be the perfect gift for any musician, music lover, or music student. Surprise your friends and loved ones by booking your gift today to be delivered automatically to your recipient on any date you specify! Present a Membership as a Gift! If you join today, your Membership will last until April 19, 2020. That's one entire year of music enjoyment! NOTE: This is a Premium Quality Membership and its price will be increased soon. Become a Member now for only $37.75! The Membership lasts one year from today. The renewal is NOT automatic. After the first year, you'll have the option to renew for only $25.99! Read our Member Testimonials to learn more about the quality of our service, and if you have any questions, please, don't hesitate to ask us. We're always delighted to answer any questions you may have. Thank you!